Jim Spiegel earned a B.S. in Biology at Belhaven University (1985). From there he turned his interests to Philosophy, earning two graduate degrees in the field—an M.A. at University of Southern Mississippi (1988) and a Ph.D. at Michigan State University (1993). After teaching for a year at Moorhead State University in Minnesota, he took a tenure-track position at Taylor University where he continues to teach a range of courses in philosophy, including ethics, history of philosophy, aesthetics, and philosophy of religion. Jim has authored numerous books and articles on issues in ethics, aesthetics, philosophy of religion, and popular culture, including the award-winning How to Be Good in a World Gone Bad. 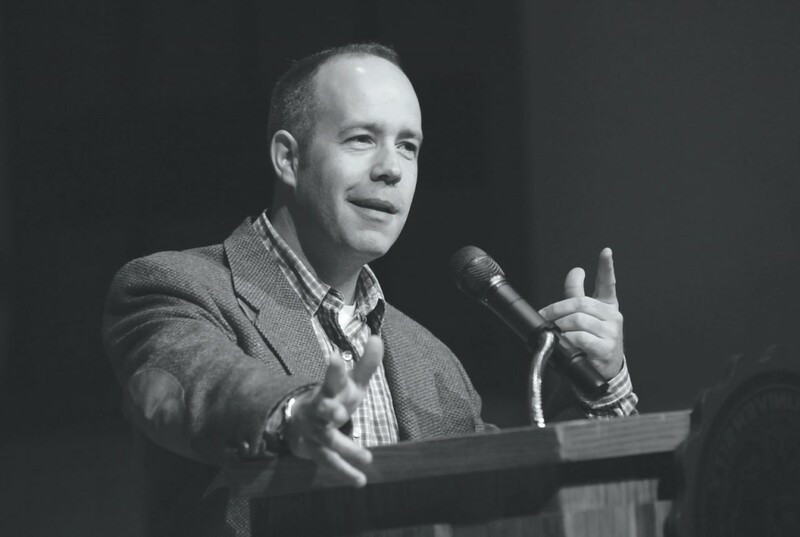 In addition to teaching and writing, Jim speaks regularly at professional conferences, colleges, and churches and is often interviewed for podcasts and radio programs. Jim lives in Fairmount, Indiana with his wife and fellow author, Amy, and their four children. To learn more about Jim’s publications and research interests, you may view his full Curriculum Vitae.